Allows you to customize the fit and design of YOUR KIT YOUR WAY. Because we are factory direct you can choose the style, fabric color, fit, size, embellishment and we will make YOUR KIT YOUR WAY. 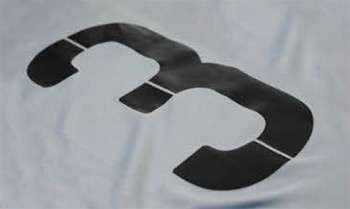 Is printed vinyl is "transferred" onto a jersey using a heat press. This is used for logos, numbers and names. Where the shirt material shows through your logo you will need to use a screen print or digital transfer. Special inks are printed directly onto the fabric. Screen printing can be used for all types of logos. This badge is also heat applied. It is made of polyurethane which is a material that is very light weight, flexible, allows for detail, it's super durable too. It's used by many English Premier League Clubs and is considered a higher quality badge. 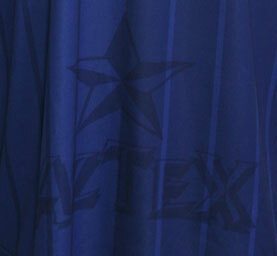 Thread is directly stitched on to the fabric of the item, resulting in a dimensional effect. Embroidery can be used for names, numbers and logos. Today this method is used mostly on caps as is isn't considered as "technical" as Woven or PU Crests which offer the same detail but are lighter and more comfortable to wear. A new special number that offers a felt touch texture with a unique look and feel.